Sports Direct Intl Plc (LON:SPD) notes the recent press speculation regarding a proposal made by Sports Direct to underwrite a £150 million equity issuance by Debenhams plc (“Debenhams”). Sports Direct wishes to confirm that it continues to seek to constructively engage with the Debenhams board and, as one of a number of potential options under consideration, it has made a proposal to Debenhams under which Sports Direct would underwrite a £150 million pre-emptive equity issuance to existing Debenhams shareholders (the “Equity Issuance”). The Equity Issuance, which would form part of a comprehensive refinancing of Debenhams, is subject to a number of conditions, all of which Sports Direct believes should be deliverable with the co-operation of Debenhams and its existing lenders, including the appointment of Mr Mike Ashley as Debenhams’ CEO and Debenhams’ lenders agreeing to write-off (in aggregate) £148 million of Debenhams debt. Sports Direct also wishes to confirm that, in addition to consideration of the Equity Issuance, it continues to give active consideration to its pre-conditional possible offer for Debenhams at 5p in cash per ordinary share announced on 25 March 2019 (the “Possible Offer”). 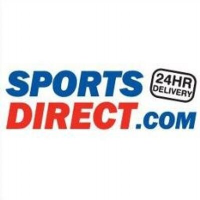 Sports Direct has until 5.00pm on 22 April 2019 to announce either a firm intention to make an offer for Debenhams or that it does not intend to make an offer.